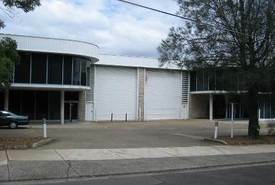 7 Commercial Real Estate & Properties in Silverwater are listed in 3 categories. We have 4 Industrial Warehouses Sale & Lease , 2 Retail ShopsSale & Lease and 1 ShowroomsSale & Lease . 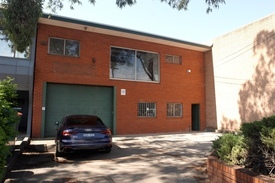 Tidy industrial property with mezzanine office area. Two glass fronted offices suitable as boardroom or executive offices. Corner position in the complex with excellent truck access. The unit features an additional 60sqm of EXTERNAL undercover storage, a rarity in a Strata complex. Worth an inspection. Coming Soon - Office Building RENOVATED WITH STYLE - CO..
Near new front business unit on the main road with showroom, high clearance warehouse & first floor office, complex only completed mid 2017. Located on Silverwater road offering amazing exposure to passing traffic as well as being situated along side some of the biggest retail/industrial/bulky goods operators. Close proximity to the M4 Motorway providing access to Sydney's Eastern and Western Suburbs. As well as Parramatta Road, another huge retail/bulky goods business corridor. Total property size 577m² Features; Signage opportunities 8m clearance inside the warehouse Total ground floor area of 502m² Roller shutter, 5.5m clearance Amazing natural light Ground showroom Ground floor amenities Lunchroom/Kitchen First floor mezzanine office, 75m² Potential to increase mezzanine office Allocated parking Contact us now to arrange an inspection. Agent Mitchell Owen 0401 451 889.